You may also call the congregation for directions. 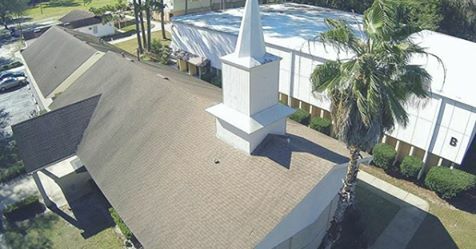 The synagogue meets at the original Greenhouse Church NW Building as shown below at 2925 NW 39th Ave. Gainesville, FL. 32605. Take exit 389, turning East onto NW 39th Ave. / SR-222. Continue approximately 4.5 miles (~9 min.) to traffic light at NW 29th Terrace. Turn right onto the church property.